Description: A knowledge of the history and evolution of the tales on which Shakespeare drew in the composition of his plays is essential for the understanding of his work. In re-telling a particular story, a Renaissance writer was not simply reshaping the structure of the narrative but participating in a species of debate with earlier writers and the meanings their tales had accrued. The stories upon which Shakespeare's plays are constructed did not descend to him as innocent collections of incidents, but brought with them considerable cultural baggage, substantially lost to the modern spectator but an essential component, for a contemporary audience, of the meaning of the work.Shakespeare's Alternative Tales explores this literary dialogue, focusing on those plays in which the expectations generated by an inherited story are in some way overthrown, setting up a tension for a Renaissance spectator between 'received' and 'alternative' readings of the text. Each chapter opens with a familiar story, supplying a context for the subsequent discussion, and exhibits the way in which the dramatist's reworking of a traditional motif interrogates the assumptions implicit in his source.While offering the twentieth-century reader a fresh perspective from which to view the plays, the approach also supplies an introduction to contemporary readings of the Shakespearean canon. 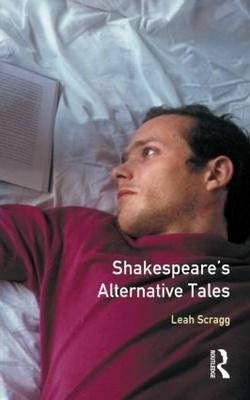 The tales Leah Scragg considers may be seen as 'alternative' in more than one sense: they radically rework conventional situations, while lending themselves to analysis in terms of new critical methodologies.The text will be of interest to both students of Shakespeare and the general reader. In conjunction with the author's companion volume, Shakespeare's Mouldy Tales, it provides an ideal introduction to contemporary developments in source studies.